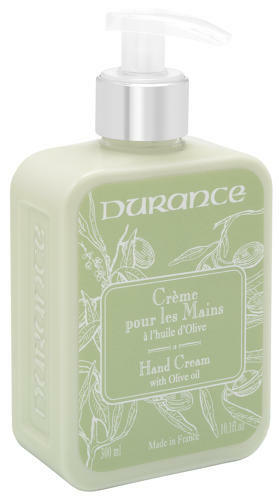 OLIVE OIL HAND LOTION - Made from plant oils, Durance’s hand cream protects and nourishes dry and damaged hands. With Cotton extract, it swathes you in gentleness. Infused with the fresh smell of Olive oil which transports you to the heart of Provence. Format: Small size, perfect for bathroom basins and kitchen sinks.